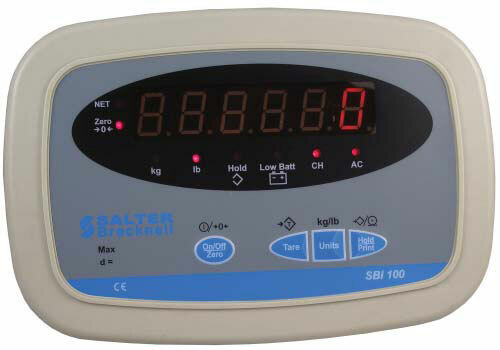 The Weigh-Tronix SBI 100 indicator is a low cost, simple to operate weight indicator compatible with the complete range of platform scales. LED Standard, Painted Mild Steel, LED display, IP65 indicator. Comes standard with wall and desk mount. Software includes NCI protocol and interfaces to most common shipping software.